Five of the eight candidates for Pennsylvania governor. 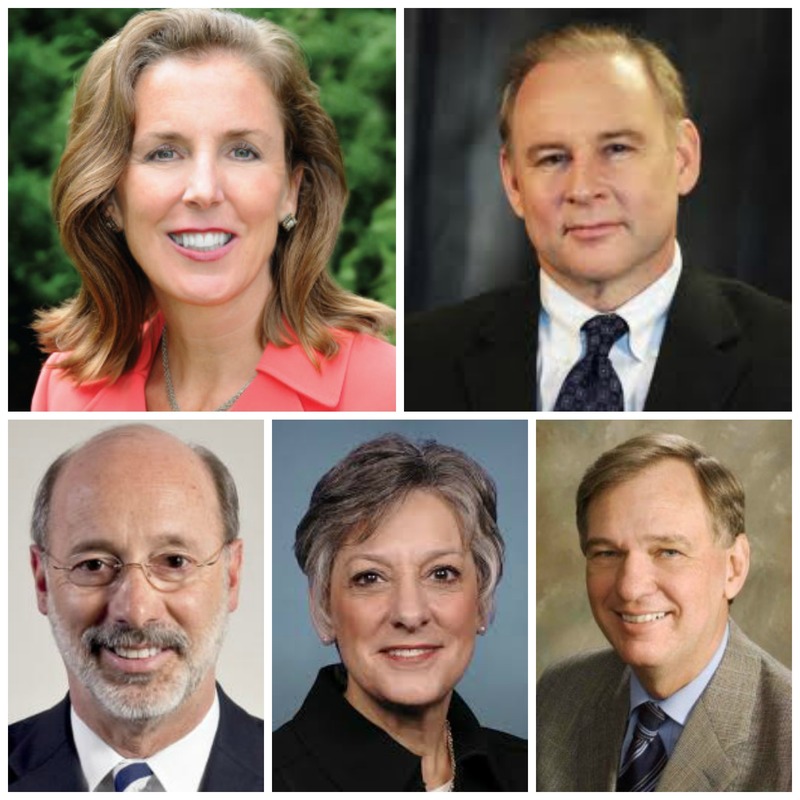 From top left, clockwise: Katie McGinty, RobMcCord, John Hanger, Allyson Schwartz, and Tom Wolf. Yesterday, a lively crowd kicked off the Pennsylvania governor’s race in proud Philadelphia style. The first governor’s forum featured five of eight candidates for governor: John Hanger, Allyson Schwartz, Rob McCord, Katie McGinty, and Tom Wolf. It was hosted by the Working Families Party and PCAPs among others, and touched on core areas such as education, health care, and jobs/pension. Rob McCord and John Hanger drew the largest enthusiasm from the crowd with a mix of energy, clear politics, and good old-fashioned Corbett bashing. Katie McGinty also had a good showing. As the front runner, Allyson Schwartz felt strangely lackluster, especially given the depth of her education platform. But the race is just getting started, and as parents, there’s no question that education remains the top issue of the day. We worked with Shippensburg Education Matters parent leader Susan Spicka and Pittsburgh Yinzercation’s Jessie Ramey to craft a parents’ platform on “What the next Pennsylvania governor must say about education.” We’d love to know what you think. You can also watch the entire forum below courtesy of Media Mobilizing Project. I believe that public education is a public good. Public education is an investment that we as taxpayers make together to benefit students, parents, and communities. Public schools play a vital role in building strong communities throughout the Commonwealth. Adequate, equitable, and sustainable funding of public education will be a top priority of my administration. I will reverse the more than $1 billion in state funding cuts to public K-12 schools and public higher education. I will enact a fair, accurate and transparent formula to allocate state tax dollars to school districts. This formula will take into account the actual number of students living in poverty, students learning English, and students with a disability. It will also take into account the fact that some school districts lack the overall economic ability to raise adequate revenue to fund their schools. State dollars will be allocated based on those differences. I will close tax loopholes that harm our public schools, such as the “89-11” real estate transfer mechanism that diverts desperately needed funds from school districts. I oppose parent trigger laws and other efforts to privatize public education. I oppose any expansion of Pennsylvania’s current controversial education tax credit programs (Education Income Tax Credit-EITC and Opportunity Scholarship Tax Credit-OSTC) and will work with PDE to address serious deficiencies within the programs to bring them more in line with norms in other states. I oppose school closures on the basis of test scores and mass school closings, which have been shown to be enormously disruptive to students’ academic and personal lives. School closings should be approached with prudence and with the end result being an improved academic and quality of life and public options for children. I recognize that the current way that PA pays for charter and cyber charter schools is structurally flawed, fiscally unsustainable, and weakens traditional public schools. The current law mandates that taxpayers fund two separate and duplicative systems of public education by taking money from one group of children (in traditional public schools) and giving it to another (children in charters). I will work with the legislature to craft a sustainable charter school funding formula that will create efficiencies for taxpayers, relieve the overwhelming financial burden on our school districts, and help strengthen Pennsylvania’s entire system of public education. I believe charter school payment rates are not accurately calculated. I will work to reform the charter school funding formula for special education so that charter school payments are capped at the actual costs of providing children with services. I will also work with the legislature to revise the funding formula for cyber charters to account for the fact that they do not operate a full brick and mortar school building. I will work with the legislature to pass a charter reform bill that holds all charter and cyber charter schools accountable to the public, ensures transparency in their finances and operations, and holds them subject to Pennsylvania’s existing Right to Know laws. I support the authority of local school districts to authorize charter schools in their own communities. I will not support a law that allows an outside entity to authorize a charter school in a community nor will I support a state-wide authorizer. I will work for good prenatal care for every pregnant woman in Pennsylvania, because the risk of learning disabilities and other challenges to learning begin in the womb. I will increase supplemental funding to Head Start so thousands of low-income children on waiting lists will have the opportunity to receive a high-quality early childhood education that will prepare them to enter kindergarten ready to learn. I will enact mandatory kindergarten that is responsibly funded throughout the state. I value experienced, professional teachers and reject rhetoric that disparages teachers and the craft of teaching. I believe that every public school should offer a full, rich curriculum with the arts, science, history, literature, world languages, and physical education. I will work with the Pennsylvania Department of Education to make sure that our policies, including testing requirements, support this. I support smaller class sizes, especially for low-income, high-poverty districts with high needs. I oppose the expansion of costly high stakes testing in Pennsylvania and in particular the current Keystone exams. I will call for a full review of the impact of Keystone exams on disaggregated student populations within each school district in order to determine whether these exams best serve the needs of students and families as well as improve accountability measures within school districts. 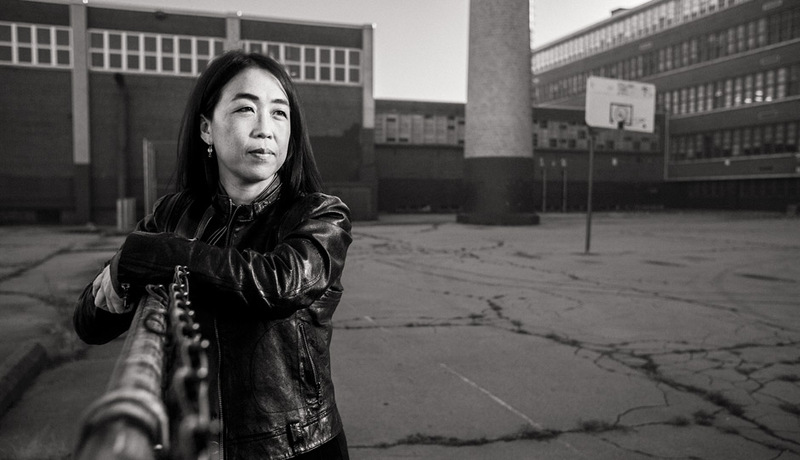 I support efforts to build healthy school climates such as evidence-based restorative justice programs and de-criminalizing minor offenses that contribute to the school-to-prison pipeline. I recognize that poverty and racial segregation are serious social problems and that we must address these root causes that affect the academic performance of far too many of our children. I will seek capital investments in school facilities to improve and modernize Pennsylvania’s school buildings. Tags: Allyson Schwartz, Education Matters, Jessie Ramey, John Hanger, Katie McGinty, Media Mobilizing Project, Parents United for Public Education, Rob McCord, Susan Spicka, Tom Wolf, Yinzercation. Bookmark the permalink.